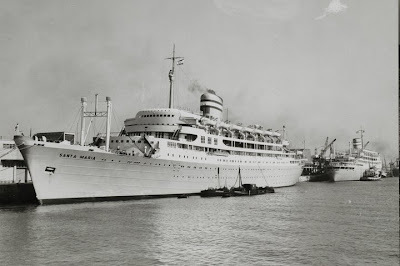 My real passion for ships and particularity passenger liners started when I was five years old and saw "SANTA MARIA" for the first time in Lisbon, after that first glimpse of the ship my father took me on various occasions to the port of Lisbon to admire "SANTA MARIA" and her sister ship the 1952 built "VERA CRUZ", a member of my family went a few years later to Africa on "VERA CRUZ" to serve in what was known then as the Colonial War. 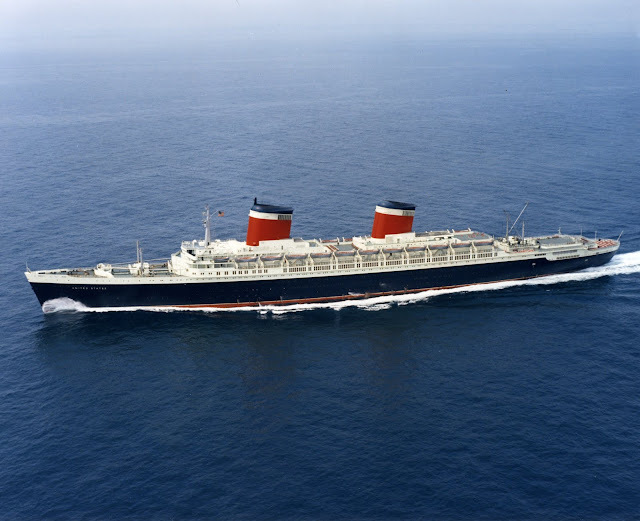 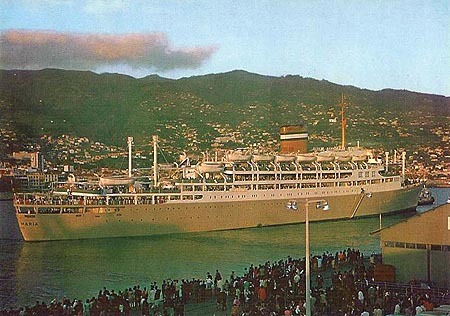 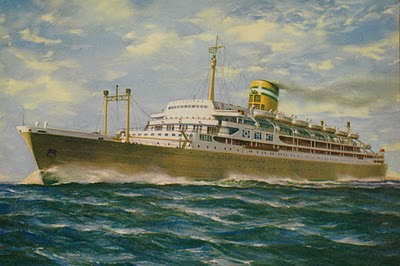 "SANTA MARIA" was built in Belgium by JOHN COCKERILL and delivered to COLONIAL NAVIGATION COMPANY in 1953, she was 21.357 GRT and had a top speed of 23 knots, the vessel became world news when in 1961 was abducted by members of a group known as DRIL which was opposition to the Antonio Salazar government, this episode marks the first political kidnapping of an ocean liner in modern history. "SANTA MARIA" and "VERA CRUZ" ended their days prematurely in 1973 when they were scrapped, a sad ending for two wonderful ships with such a great potential to be converted for cruising. 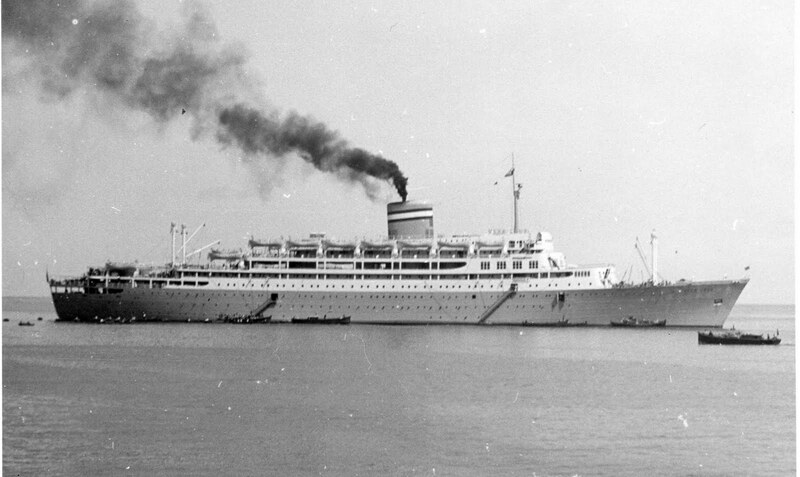 Thanks for the info on the Vera Cruz. 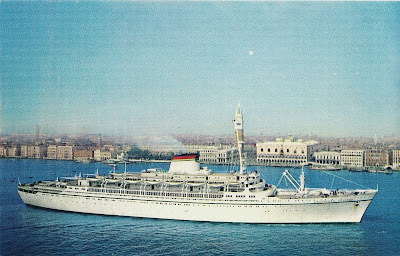 I have a small postcard left by my parents and did not know much about it. It is a picture of the Vera Cruz... that must be the ship that took them from Portugal to Brazil!? Maybe. 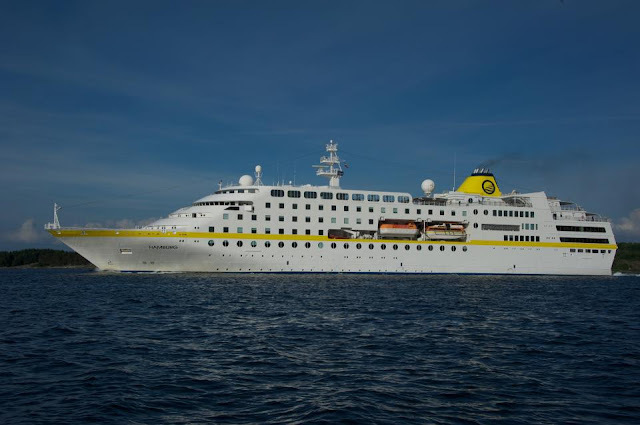 Are ther any books about these two cruise liners? 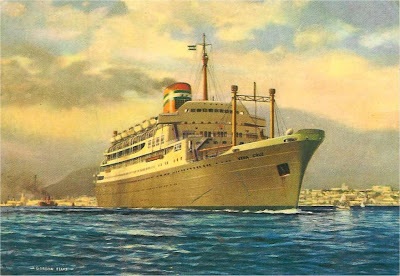 As far as I know the only book dedicated to these ships is by Maritime Historian, author Luis Miguel Correia, it's called "PAQUETES PORTUGUESES" but unfortunately is sold out, sorry and thank you for the comment above.